Jack C. Newell (Co-Founder) is an award winning filmmaker, commercial director, and public art enthusiast. He is the writer, producer, and director of films that have screened across the United States and abroad, including the Montreal World Film Festival, Chicago International Film Festival, and Cannes Film Festival Short Film Corner. Close Quarters, his first feature length film, can be seen on iTunes and Amazon VOD. His second feature length film, Open Tables, was shot in some of Chicago’s finest restaurants as well as in Paris, France, is now available on iTunes. His feature length documentary, How to Build a School in Haiti, is currently in post-production. Courses, a feature length documentary about Chicago Chef Jake Bickelhaupt is set to come out in 2017. He is the Program Director of the Harold Ramis Film School at The Second City Training Center. Jack uses his background in film to inform his public art projects. His ability to use light and color to tell stories and elicit emotion from the audience is at the heart of his work in both film and in the public space. Seth Unger (Co-Founder) is a design and creative strategist, new media expert, and brand consultant. 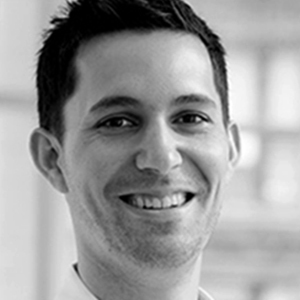 He currently works for Herman Miller's global marketing team as the audience lead for Architecture and Design. He previously worked at Gensler as a Design Strategist. While at Gensler, Seth worked with numerous clients including, Motorola, Discover, Caterpillar, co-created the placemaking intervention Neon City, and helped develop the iPhone app PoppySeed. His fine arts training and experience as a non-profit theater founder, director and producer give him a unique take on the performative aspects of human interaction, space, and creativity. He guides teams - internal and client - toward rich, interactive and memorable experiences that accelerate learning and enable deep and productive communication. Seth's collaborations have helped facilitate, design, and implement innovative brand, workplace, and creative strategy across diverse areas of focus. Maria Demopoulos, Board Chair, is the founder of Athe Advisors where she leads engagements with foundations, family offices, and nonprofit partners. Her work is rooted in international development and focused on building organizational capacity and data literacy in low infrastructure settings. Maria has led projects and teams across the health, education, human services, environment and clean energy sectors. She has in-country experience in Cambodia, Ecuador, Ethiopia, Germany, Malawi, and Sweden. Prior to founding Athe, Maria was responsible for building the evaluation and strategic learning framework at Crown Family Philanthropies, and she worked on the Democracy and Environment portfolios at the Joyce Foundation. Maria is a co-founder of the Chicagoland Evaluation Community of Practice, a peer-network of 31 foundations working to increase capacity for impact measurement at Chicagoland foundations, and an advisor to GlassCeiling, where she focuses on gender, diversity and inclusion efforts. Maria is a runner and hiker (plagued by a poor sense of direction). She likes to tinker, travel, make mischief, and read. Charles Adler is a Kickstarter co-founder, founder of the online arts journal Subsystence and Source-ID, an independent interaction design studio. Kickstarter has seen tens of thousands of projects raise over $1B since launching on April 28th, 2009. His work as a designer and entrepreneur is driven by a simple desire – to produce work that connects people to their ambitions and passions in life. In 2013 Charles was named as one of Forbes Magazine’s Top 12 Most Disruptive Figures in Business and was invited to judge the 2013 National Design Awards, and Architizer’s A+ Awards for Architecture. Charles is an Executive Board member of the Chicago Design Museum. Hailing from Cincinnati, Jenni Button is a curator, stylist, producer and all-around conduit of creativity. 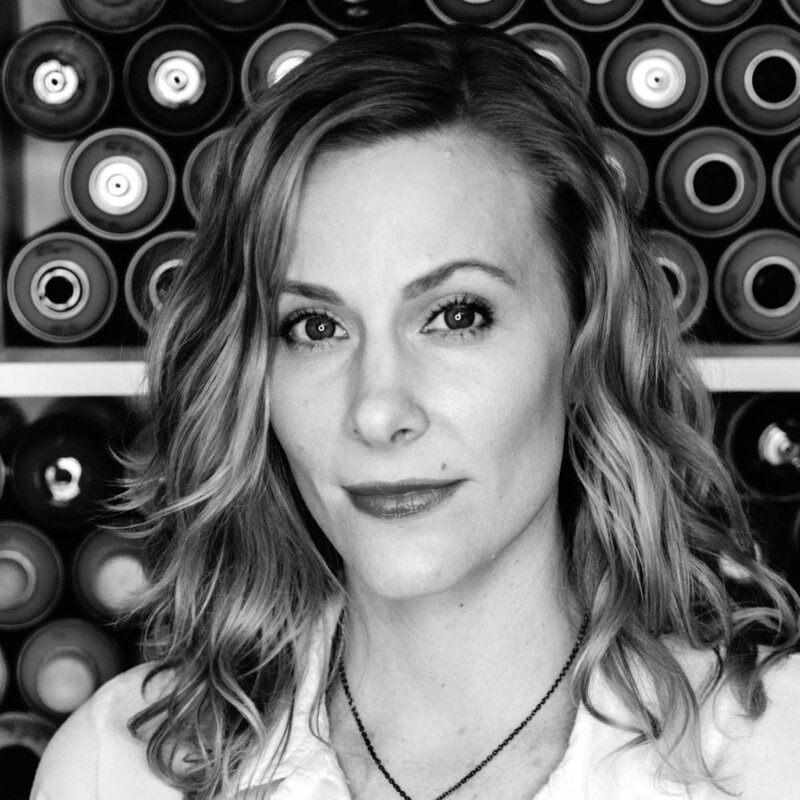 After graduating from Ohio University with a Bachelors of Fine Arts, Jenni has worked with creative agencies, art galleries and public arts programs throughout the midwest. She currently resides and works in Chicago, and is co-founder and experience curator at Fête Esthete + The Art Party. She also sits on advisory boards for nonprofits Art of Freedom and Infinite Chance. A Chicago resident and Iowa native, Rebecca Fons is the Programming Director at FilmScene, Iowa City's premiere art house theater, and also serves as the Development and Programming Director for the recently re-opened Iowa Theater - a multi-disciplinary film and performance center in her hometown of Winterset, IA. Prior to her return to the Iowa cinema scene, Rebecca was the Education Director for The Chicago International Film Festival for nearly a decade, growing their Education Program to include yearly education screenings that welcomed over 10,000 students to the movies each year, and embraced emerging cinephiles through initiatives like the Festival's Student Film Council and CineYouth Festival. Rebecca serves on a number of screening committees for film festivals around the country. Rebecca received a Masters Degree in Arts Management from Columbia College Chicago and a BA in Cinema and Comparative Literature Studies from the University of Iowa. Rebecca is a Steppenwolf Theatre Associate, a member of the Gene Siskel Film Center's Community Council and the Junior League of Chicago, performs with the improv ensemble Spitfire, is a former roller derby referee for The Windy City Rollers and lives in Chicago. Eric Gannon is an architect and has worked with Gensler for the last 10 years as a Project Manager and Studio Director. A New York transplant, he has quickly become immersed within the Chicago design scene and leads a studio in Gensler's Chicago office focusing on corporate interiors and campus work. Eric's career has taken him globally around the world with project work in North America, China and Brazil to name a few. Eric supports and enables and participated in design at all scales from large commercial projects to fledgling side collaborations with friends. He fuels his creative passions through music, maintaining an extensive vinyl collection housed within his own custom furniture and playing in as many bands as time affords. Eric holds a masters degree from New Jersey Institute of Technology and a BS Arch from The Catholic University of America. He is a registered architect in NY and NJ. Matt Getz is an accomplished marketing and communications leader with over a decade of experience providing both creative advertising and business leadership. He built his career by crafting unique voices, identities, and campaigns for some of the world’s best-known brands including Blue Cross Blue Shield Association, Proctor & Gamble, Boeing, and the United States Postal Service. Beyond his business accomplishments, Matt is an expert griller, Scrabble player and amateur painter (very amateur). Josh Golden is a digital business strategist and serial entrepreneur who combines a penchant for big-picture strategic thinking with the digital know-how to get things done. He currently serves as Founder and Principal of Table XI, a fifteen-year-old digital strategy, UX design, and custom software development company with thirty-five employees. Clients include Tronc, HCSC, Tyson Foods, Discover, Chicago Ideas, RogerEbert.com, Pecha Kucha, Chicago Ideas, and Northwestern University. Josh has also backed numerous startups, either as an equity investor, conception-stage service provider, or mentor, including MaxMyInterest, Ebert Digital, m2057 by Maria Pinto, PUSH for Wellness, Pegmo, and many others. Josh has a bachelor’s degree in economics from the University of Chicago. He lives in Chicago’s Fulton River District with his wife, Erin, where he enjoys great restaurants and good wine, skis a ton, travels the world, avidly (but sporadically) plays poker, listens to jazz, and dreams about moving to a small town in the mountains. Jordan Ho is a product focused entrepreneur who has founded and led multiple startups. With a broad set of abilities ranging from team management to product vision & delivery, Jordan has spent his career starting companies so that he could avoid ever actually having a real job. He is currently VP of Product at Label Insight, a data company focused on the transparency of information in the food industry, where he is responsible for vision, product design, and customer experience. His perspective on the intersection of technology & art is influenced by his art background and time spent as an apprentice to renowned artist Ed Paschke. He has now spent the majority of his life in Chicago, but cannot shake his loyalty to those unfortunate Minnesota sports teams. Scott Kitun is an award winning entrepreneur, Technori CEO and host of The Startup Showcase on WGN Radio. He’s passionate about building the most inclusive and diverse tech community in the world - something Technori has been focused on since 2011, by helping founders showcase in front of thousands of would-be investors on-stage and in-studio, where Scott’s the host of Chicago’s top tech show. Since entering the startup scene in 2012, he has shown a fearless passion for building a tech hub in Chicago that we can all be proud of by working to democratize the funding process for female, minority and first-time founders. Scott believes that real change only happens through education and that’s demonstrated by his contributions to helping CPS students and underrepresented communities access the vast resources created by a thriving tech ecosystem. Christina Shaver, a Chicago native, writes and produces comedies and dramas for a variety of platforms. Previous to her film career, she worked twenty years in executive management in the non-profit and tech sectors. Christina graduated from Northwestern University with Honors, and also from the Harold Ramis Film School at The Second City. Rebecca Ussai Henderson is a Principal Interaction Designer at IA Collaborative, a global design and innovation consultancy, where she is responsible for user driven research, strategy, and design. She was previously an Experience Design Director at R/GA, a global digital agency working at the intersection of technology and design. Her range of work includes a number of digital platform redesigns, commerce, strategy, service design, digital campaigns, and personalized experiences across industries such as healthcare, logistics, entertainment, and emerging technology. She concentrates on developing meaningful and relevant connections between brands and users with experiences that are intuitive and enjoyable. Rebecca is a graduate of Carnegie Mellon’s Communication Design program. While there, she found an interest in motion design. After starting a career in UX, she is finding ways to combine the techniques of motion design into the most relevant areas of user experience in order to craft more intuitive, engaging, and delightful experiences. Over the past few yeas, she collaborated together with Disney Legend, Glen Keane, on what she calls “The Principles of UX Choreography” and has given talks SXSW Interactive, Google HQ, UX London, and CreativeMornings. Since joining urban planning firm Teska in 2005, Erin Cigliano has been creatively engaging communities using her experience in planning, marketing and interactive design. Her abilities span information design and data visualization, marketing, online outreach, in-person workshop facilitation, and mindmapping. By merging the application of engagement mediums with creative thinking, Erin is able to effectively build project momentum, optimize outreach efforts and convey information and plans in a way that is enticing and readily understood. Erin has led the facilitation of numerous planning efforts and neighborhood seminars including Imagine Dubuque Comprehensive Plan (2017 APA-IA Outreach Award), Wicker Park Bucktown Master Plan (2017 APA-IL Outreach Award), Winnetka Downtown Plan and Historic West Des Moines Master Plan. Josh Doubleday is a project manager at Crown Family Philanthropies, a private family foundation that grants to non-profits focused in the Chicago-area. Josh works with executives and senior staff at the foundation and affiliated organizations to drive innovative solutions with technology that increase efficiency, effectiveness, and transparency of information sharing in core business processes for family members, staff, and grantees alike. Josh is first and foremost passionate about good design. He did his bachelor’s and master’s work in art and architectural history at George Washington University and the University of Illinois at Chicago, respectively. Monique Etienne is a trained mental health counselor with a passion for art and Chicago. She currently works for Civic Consulting Alliance’s internal operations team working on civic engagement, partner management, and development projects. She previously worked at Chicago Children’s Advocacy Center as a therapist utilizing expressive creativity to heal trauma. Monique has also worked with other organizations dedicated to advancing and healing Chicago residents including the Joyce Foundation and Thēarē Group. She has a bachelor’s degree in liberal arts and humanities from Saint Xavier University and a master’s degree in clinical mental health counseling from Adler University. She enjoys time with family and taking photographs of nature. Farooq Janjua is a Senior Software Engineer at Placester. He is a formally trained mechanical engineer and a self-trained software engineer. Before joining Placester, he worked in software consulting, as a software engineer, and as mechanical engineer at John Deere. Farooq is deeply committed to developing fair tools to help the underbanked and increase financial inclusion. Born and raised in Chicago, Illinois, Justine Salva has a Master of Arts degree in Arts Administration from the Savannah College of Art and Design and a Bachelor of Fine Arts degree in Industrial Design from the University of Illinois Urbana-Champaign. Justine is the Co-founder and Experience Curator of Fête Esthète + The Art Party. She also works as a freelance designer and art consultant. Prior to founding Fête Esthète + The Art Party, Justine was the Gallery Director of Matthew Rachman Gallery. She also dabbled in product design and product development for several years. Her passions include art, supporting living artists, the design process, community outreach, and arts administration. Outside of work, Justine is the Art Director of Art of Freedom, a non-profit organization working to raise awareness and end human trafficking. Hailing from Chicago’s south suburbs, Jacob Karmel finished his Bachelor’s degree at the University of Wisconsin-- Madison, before moving back to the Chicagoland area. He is an associate consultant at Segal Consulting. Outside the office Jake is an aspiring amateur photographer and music-lover. In his spare time he organizes concerts for Sofar Sounds Chicago. Chris Reyes is a Graphic Designer at the Blue Cross Blue Shield Association. He attended Columbia College Chicago where he received his BFA in Graphic Design. He is active in the design community and enjoys helping others to do good work. His interests outside of work and design include astronomy, photography and salsa dancing. Erin Sian Williams is a writer, creative director and award-winning digital marketer. She was previously the marketing director for a national women's health non-profit and before that worked at razorfish, a global digital agency, where she led creative and content on key accounts such as Target, Samsung, and Kellogg's. A native Mainer who's fallen hard for Chicago, these days Erin enjoys freelancing, accruing flight miles, and getting out on Lake Michigan as often as possible.